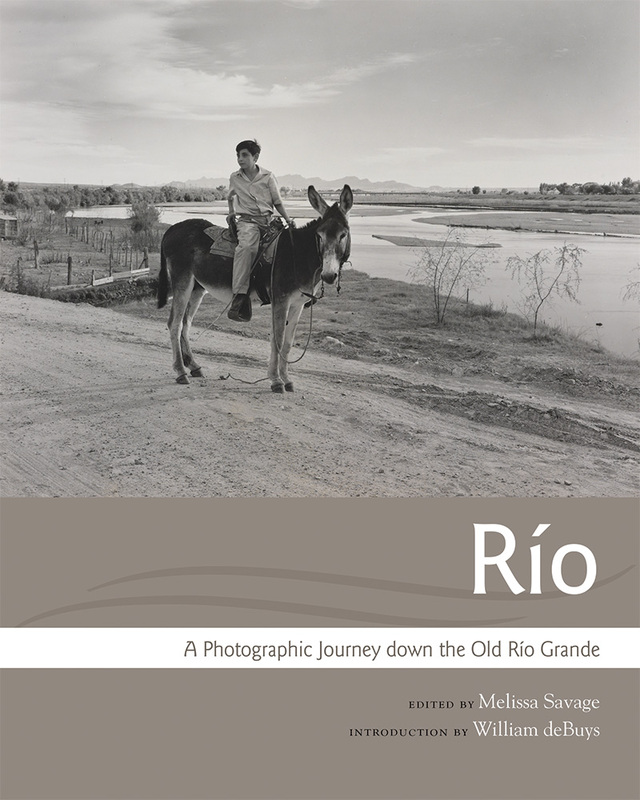 Weaving together landscape and memory, this book presents historical photographs of the Río Grande of the American Southwest. The dynamic Río Grande has run through all the valley’s diverse cultures: Puebloan, Spanish, Mexican, and Anglo. Photography arrived in the region at the beginning of the river’s great transformation by trade, industry, and cultivation. In Río Savage has collected images that document the sweeping history of that transformation—from those of nineteenth-century expeditionary photographer W. H. Jackson to the work of the great twentieth-century chronicler of the river, Laura Gilpin. The photographs are assembled in thematic bundles—river crossings, cultivation, trade, floods, the Mexican insurrection, the Big Bend region, and the estuary where the river at last meets the Gulf of Mexico. Essays by Rina Swentzell, G. Emlen Hall, Juan Estevan Arellano, Estella Leopold, Norma Elia Cantú, Jan Reid, and Dan Flores illuminate the images. Melissa Savage is a geographer and conservationist. She is a professor emerita at the University of California, Los Angeles, and the director of the Four Corners Institute in Santa Fe, New Mexico. William deBuys’s Enchantment and Exploitation: The Life and Hard Times of a New Mexico Mountain Range (UNM Press) has been revised and reissued in honor of its thirtieth anniversary.